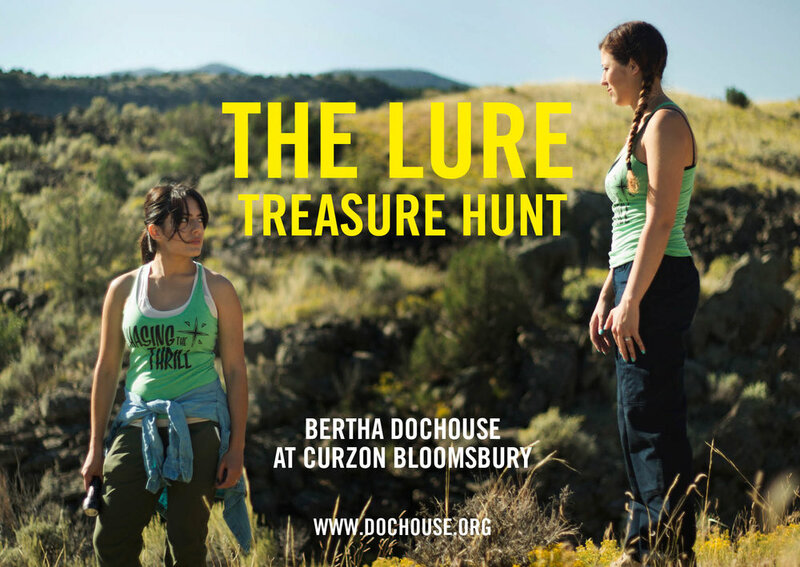 To celebrate the release of the The Lure, Bertha DocHouse have arranged a special treasure hunt so that you can join the search! We have hidden four clues for you to find across the internet. Each clue is a riddle which, when solved, will give you a word. Once all the riddles have been solved, you will have a phrase which will unlock the prize. When you’ve got the phrase, you’ll need to head to Curzon Bloomsbury, home of Bertha DocHouse, and ask for a manager. Repeat the phrase to the manager and see if you’re a winner! For the first person to complete the treasure hunt, your reward will be a pair of tickets to any screening of The Lure as well as a bundle of goodies including the film’s poster, tote bag and soundtrack download. The bundle will be sent out to you in the post.